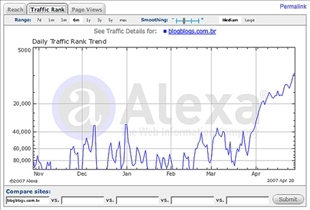 Did you know that you now have the option to see the amount of traffic that you are getting on your website? This is possible due to a number of sites that allow you to keep track of the traffic that you get on daily basis or displayed in any way that suits you best. Names that are beginning to leave a mark in this competitive industry are Alexa and Compete. These two names are toolbar metrics and serve you the ease of knowing what it going on with your sites! Those who are in the field of making money online will find these tools more useful than most regular Internet users. All you have to do is install either one of these products on your computer and the toolbar collects any data on the basis of the browsing done which is then transmitted to the site and stored there where the data is analyzed by the product - and this is how you can get reports on your web traffic. Alexa came into being in 1996 whereas Compete came around in the year 2000 and proved to be a challenge for Alexa. They promised to perform better than Alexa and used almost the same tactics but only in more refined forms. The ranks that Compete gibes to you are an estimated number of visitors from the US on monthly basis whereas Alexa provides you the number of estimate US and international visitors on daily basis as well as the number of times your page was viewed daily. In addition, Compete gives the details of not only the number of people visiting per month, but also the number of times each page is viewed and the average amount of time one spends on the certain page. Even though Compete came onto the scene a few years later, right in front of the already existing Alexa, they certainly have the lead now. Alexa was an already existing site that was popular on search forums, social networks and webmaster forums and because there was not much competition. They had flawed data and at times had completely meaningless information. Even though Compete had the same issues, people saw it as a better and more refined version of Alexa. Compete metrics is akin to genuine web analytics metrics from sites that an individual manages and the association is excellent when compared to Alexa. Therefore, results are more dependable and accurate. 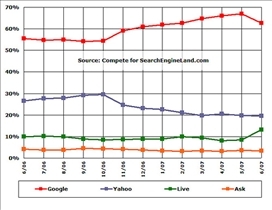 Compete is far more constant with the internal trends and the latest technology and seems to be a more reliable tool.